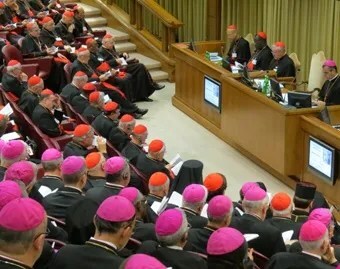 The Holy See made public the Instrumentum Laboris (working document) approved by the Bishops’ Synod in view of the prosecution of its works. The most significant paragraphs of the controversial document are related to the condition of divorced Catholics, who are currently unable to receive the Sacraments. The document starts from a more accurate analysis of the rules in force and identifies some cases in which divorced people can indeed receive the Sacraments: for example, people to whom the dissolution of the marriage was imposed by the other spouse and who are not in a new relationship. After that, the document considers the possibility of changing the rules in order to allow even Catholics who contracted a new marriage to receive the Sacraments after some sort of penitential proceeding. The Instrumentum cites the rules already in force in the Orthodox Church which, under some conditions, allows its followers to contract a new marriage. Tags: Catholic Church, divorced, family, Instrumentum Laboris, Pope Francis, Sacraments, Synod. Bookmark the permalink.